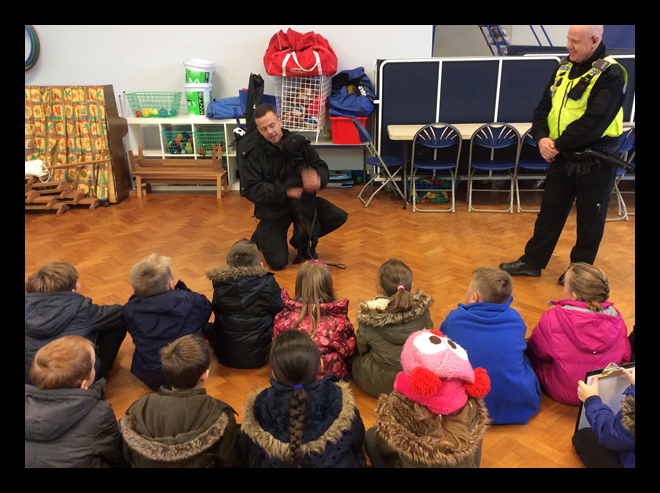 We had a fantastic morning with the two police officers, Ian and Adam. 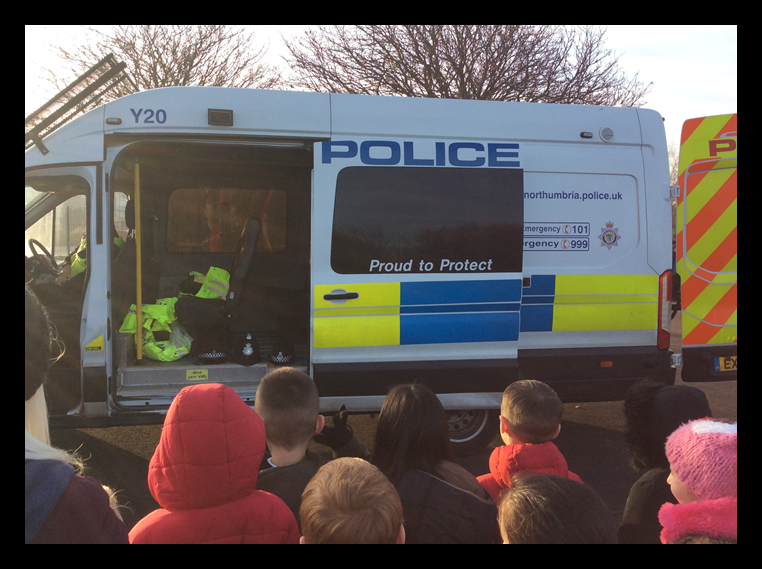 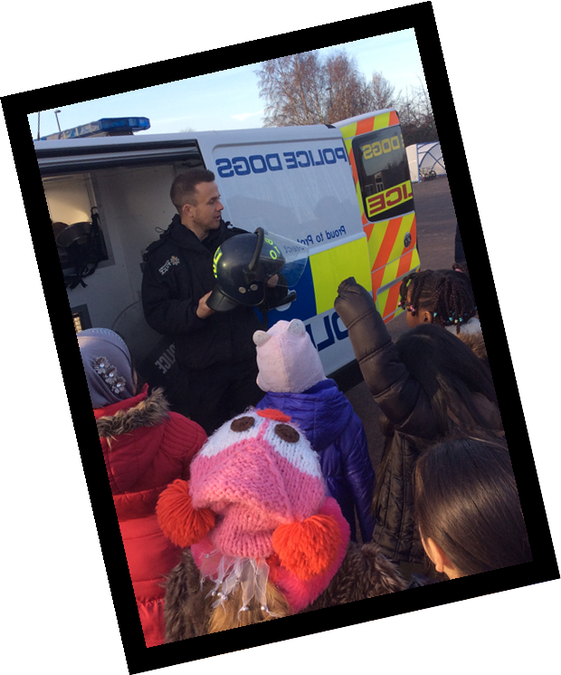 They told us all about how to stay safe on the roads as well as some of the jobs they do. 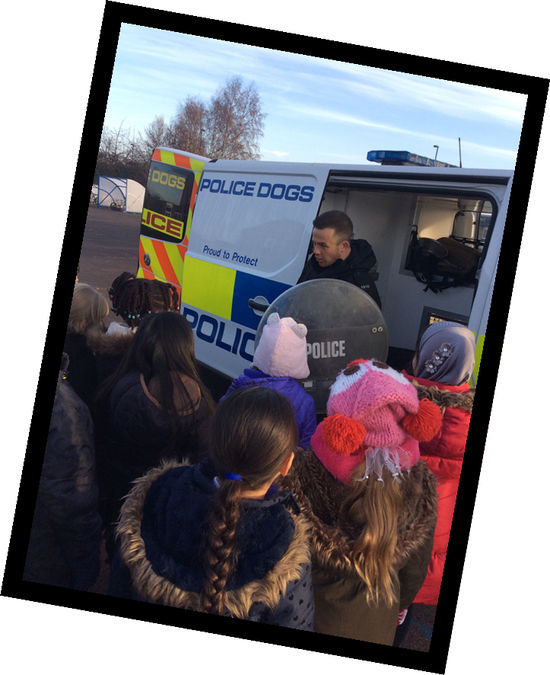 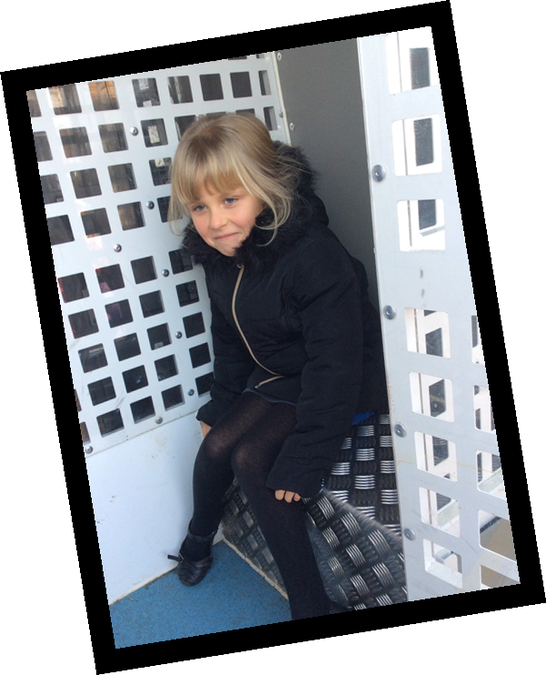 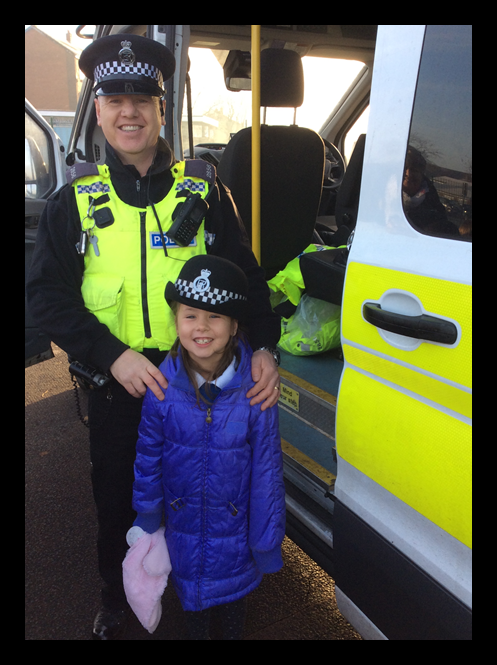 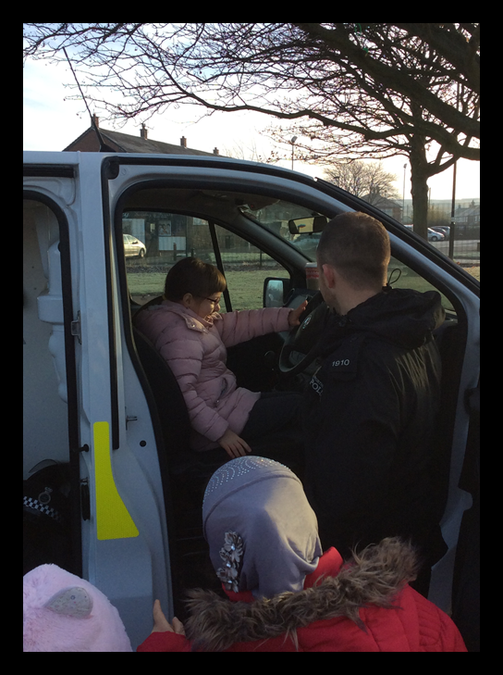 PC Ian showed us his police van and the uniform police officers wear. 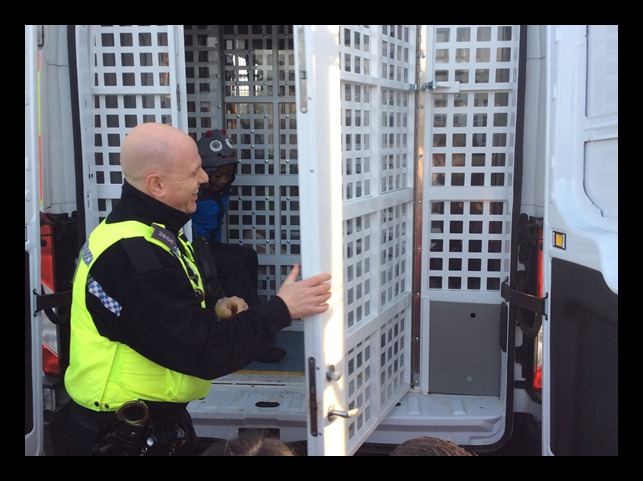 Some of us tried it on and even sat in his van. 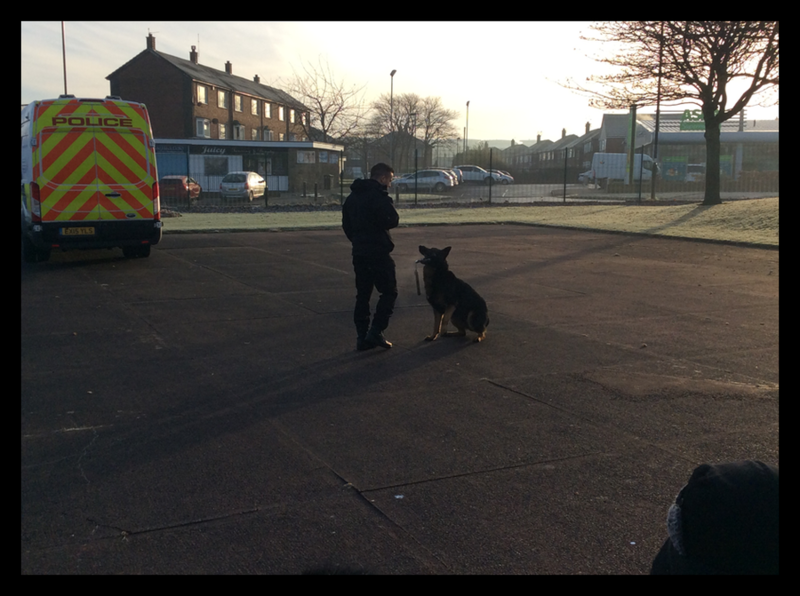 PC Adam has a different job, he looks after the police dogs. 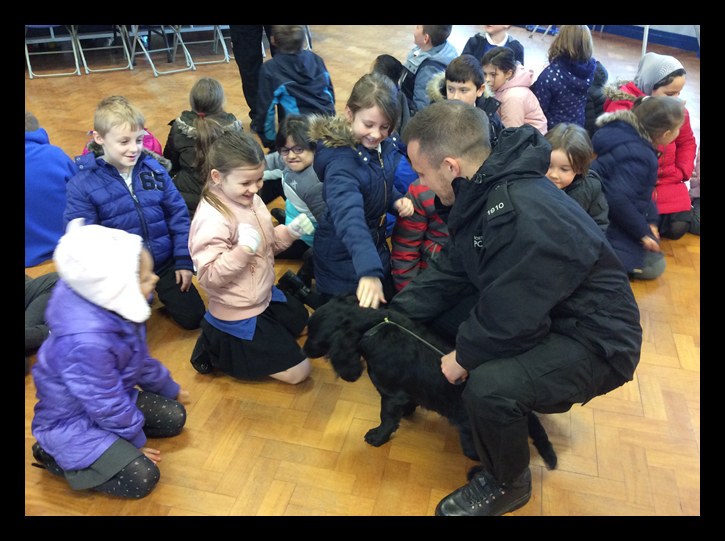 He introduced us to his sniffer dog and his two dogs who are specially trained to collect items criminals may have dropped. 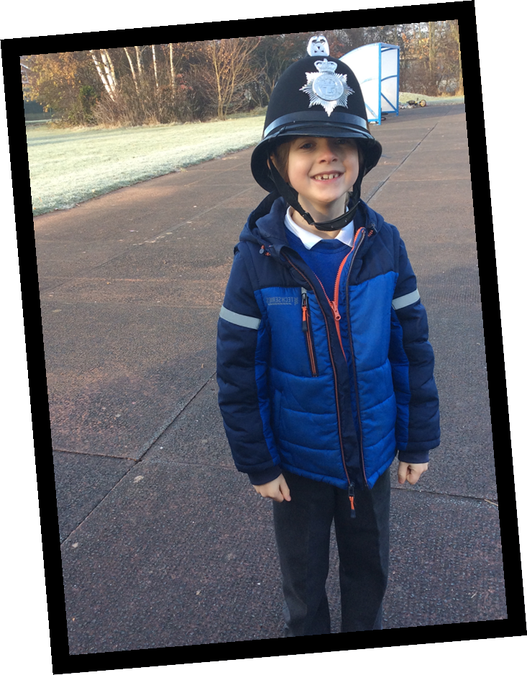 He hid items in the bushes and we watched as the dogs retrieved them. 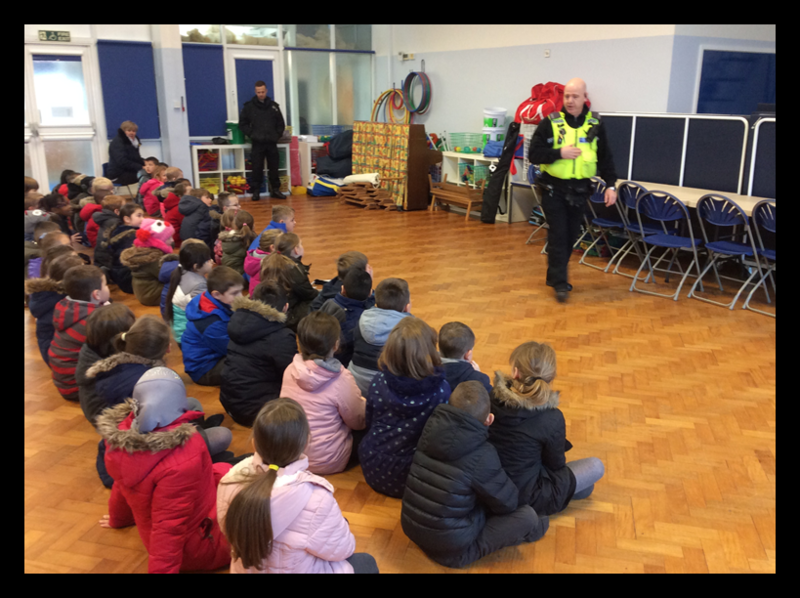 We learned so much and are very glad we have policemen like Ian and Adam keeping us safe.